With just three days to the Australian Federal Election, I’ve learned some things about voting while overseas It’s an ordeal, it’s not as fun, and you miss out on some of the best parts of voting in Australia. Sad, I know. There is no sausage sizzle. 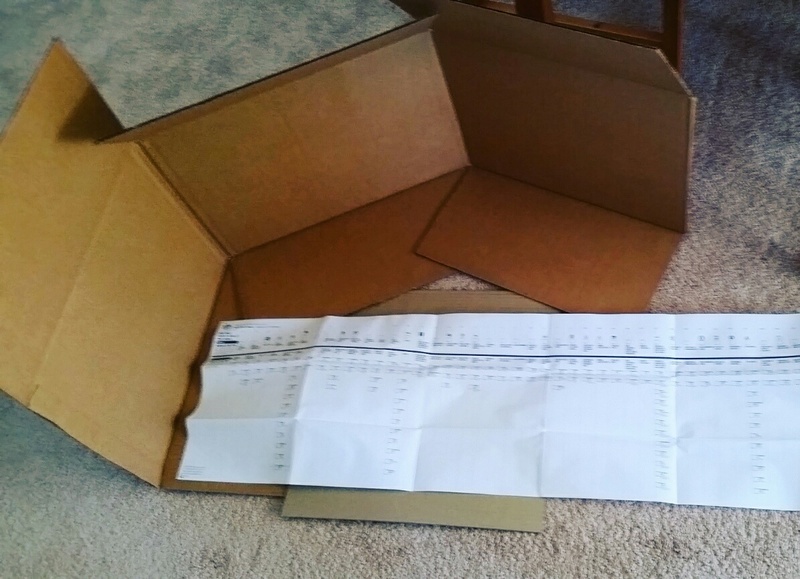 This is probably the most disappointing thing about voting overseas or by post. The sausage sanga is your reward for completing your civic duties. You run the gamut of leafleters, line up forever, spell your name out a few times, stare at the ballot paper for 20 minutes, then proudly strut outside ready to claim your victory in the form of a Democracy Sausage. Unless you’re firing up the BBQ on your balcony here, there’s no way you’re getting a burned-on-the-outside, raw-on-the-inside lump of lips and hooves stuffed inside some pig intestines. I’m sorry, that’s just the way it is. Me: So, have you voted yet? Customer: Pfft, they don’t deserve my vote. It’s a waste of time. Me: Yeah, I haven’t voted yet either. Customer: We should all boycott! And so on, and so forth. I’ve also worked at polling stations, where people who couldn’t give a toss about who’s running the country, mouth off at you as if you’re the one handcuffing them to the booth until they check a box. You can’t whinge about having to vote in a country where voting isn’t compulsory. They just don’t get it. Even if it wasn’t compulsory, I’d still vote, but that’s not the point! My God-given right to complain has been taken away from me! Postal voting is more difficult than I thought. I figured that I’d just have to register as being out of the country, give the Australian Electoral Commission my new address and hey presto, I’d be in like Flynn. (I never get that saying but it always reminds me of my old shorthand teacher’s dog, Flynn)Not so! 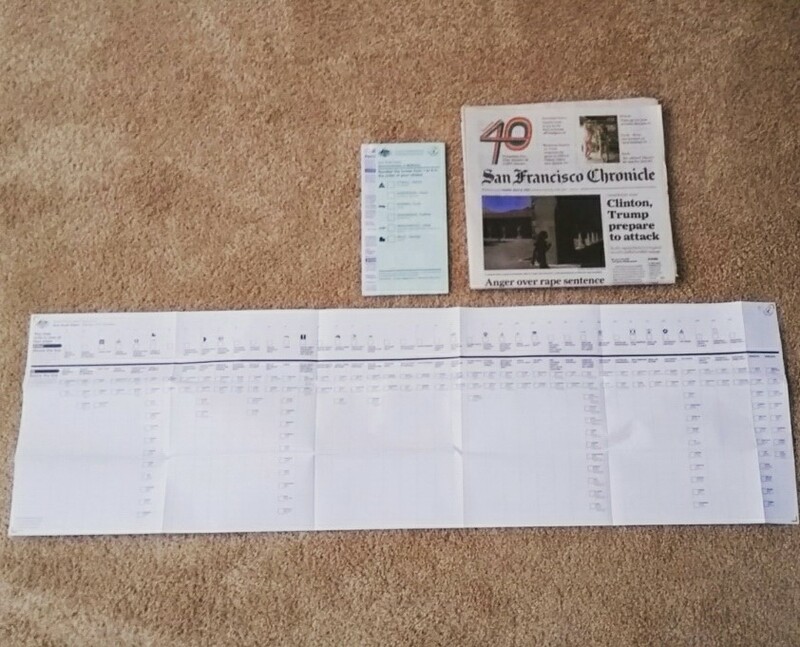 You do get a neat envelope stuffed with a gigantic ballot paper in the mail but it’s not as easy as just filling it out and sending it back. It turns out postal votes need to be witnessed by an authorised person both BEFORE you vote and while you’re voting. Authorised witnesses include Australian citizens on the electoral roll, or if you’re in a Commonwealth country you can hit up a doctor, religious or medical practitioner, or a member of the armed forces. It gets tricky for those of us who moved to non-Commonwealth countries on their own and don’t have any Australian friends, acquaintances or colleagues. You could always toddle over to your local Australian Consulate to glimpse that photo of the Queen on the wall. But then, it’s only open between 10am and 4pm Monday to Friday for two weeks before the election. So if you have a job, that’s not an option. Sorry dudes, no authorised voting for you. Or me, it seems. Voting in person is also tough. Those consulate hours also stand for voting in person. So if you’ve got some idle time between 10am and 4pm during the week, then go for it. But don’t expect it to be open on July 2 for voting day. Or any weekend for that matter. So there you have it, my guide to voting in Australian elections while not physically in Australia. *Sigh* I miss home. That's funny, I take leaflets from every party as well! You've got to keep them guessing right? And I suppose I was unwittingly helping your father's former industry. What a shame, you're missing out on the Democracy sausage!